Since 2009, the number of pet health insurance companies in North America has exploded, and more pet owners today than ever before are in search of great companies and the best coverage plan. But what makes a coverage plan the “best” for you and your pet? The goal of having pet health insurance is to save money on your vet bills. However, picking the best pet insurance plan can become complicated when you're not sure what to look for, and the wrong option can cost you more in the end. With so many pet insurance choices available today, doing the research and comparing all available plans can save you hundreds of dollars every year. So here’s what you must know before you set out to pick the right type of plan and provider for your dogs and cats. How to Pick the Right Provider and Coverage Plan? Since the US pet health insurance industry got its first start back in 1982 (Nationwide was the first), it has been growing at staggering rates. North American Pet Health Insurance Association (NAPHIA) has been reporting consistent growth over the years. Currently, there are 12 major pet insurance providers in North America, and we'll discuss those below. 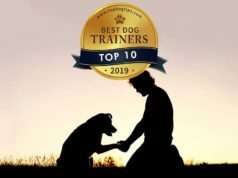 The reason for their existence is the expensive pet care that dog owners and cat owners have to deal with, which includes veterinary bills, surgeries, health supplies and preventative treatments. According to data collected by American Pet Products Association (APPA), pet owners spend staggering amounts every year. This can be broken down into several categories. On average, below is what an pet owner would spend. This is just a fraction of pet care expenses that majority of pet owners in the USA and Canada will encounter. All these numbers combined result in a hefty sum, which explains why pet health insurance is becoming more popular every year, as more pet owners try to provide the best possible care while saving a good chunk of money in the process. With so many pet health insurance providers offering different coverage plans it's becoming increasingly difficult to understand and pick the right one that fits the bill for you and your pet. Here are nineteen questions you should probably ask yourself and the provider before making the final decision. 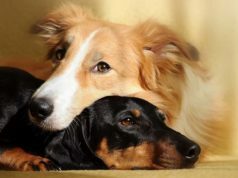 Compare all available pet insurance plans. Do the research and begin comparing all pet insurance providers and their plans side-by-side to see their costs for premiums, co-pays, deductibles, reimbursements and other vital details. 2. How Old is the Provider? It’s a clever idea to pick someone with more experience. The longer pet insurance provider has been around, the more experience and budget they are likely to have, offering better terms. It’s also much easier to find feedback and reviews of an older provider. 3. Are They State Licensed? Not every provider can legally sell insurance in all states. When buying pet insurance online, make sure the company is allowed to sell it in your state. Also consider if your pet will be covered in case you move to a different state in the future. 4. Is There a Money Back Guarantee? This is a wonderful way to test the provider with minimal risk. Majority of pet insurance providers will offer a money back guarantee period, which is when you get all the paperwork and review it thoroughly. If you’re unhappy, take your money back and move on. Check insurance provider’s reviews and track record. After comparing plans, go through their reviews online, ask for feedback on forums, and do some research on their track record so you know you can count on them to pay when the time comes. 6. Do They Offer Medical Review? This is a list of coverage exclusions which can make or break the deal. Make sure that your provider offers and does the medical review before your money back guarantee expires. That way if you’re unhappy with their exclusions, you can move onto the next one. 7. Can You Pick Your Own Vet? Some providers may not allow you to pick your own vet. In most cases, it’s best that you’re allowed to pick your own veterinarian. Company assigned veterinarian may not be close to your location or simply isn’t someone you trust enough. 8. Is Their Customer Support Good? Great customer services is often worth the extra cost. There’s nothing more frustrating than having your provider ignore calls or keep you on hold for hours. Before you pick one, call them, email them and check their website to see how they’re doing. 9. What Happens When You Go Out of State? If you plan to travel with your pet out of state, this is important. Check if your plan covers any veterinarian or specialist visits when you’re traveling out of state. Most insurance providers offer that, and some even provide coverage for vet visits in foreign countries. 10. Will There Be Restrictions? Read their plan details in full to know what your pet is covered for. Go through the provider’s insurance plan in full to know what may affect your pet’s coverage and what exactly is covered. Pay special attention to pre-existing conditions and what may increase premiums. 11. What’s Best for Your Case? Only pick a type of coverage that will work specifically for your situation. Read about their different coverage types and consider what’s worth it and what isn’t for your pet. Sometimes just routine wellness coverage is enough while other times you may want full coverage. 12. What Is Their Bilateral Conditions Policy? Many providers have restrictions on the bilateral conditions policy. Health conditions like hip dysplasia or cruciate injuries may not be covered fully with some plans. Make sure you understand what is the provider’s policy on these and other bilateral conditions. 13. How Are You Getting Paid? Choose the type of reimbursement that fits the bill. Insurance providers have several ways they calculate reimbursement. Consider if you’re more comfortable with a benefit schedule, percentage of invoice or the UCR structure. 14. How Long Before You Get Paid? Find out how long you’ll have to wait before you’re reimbursed. You’ll pay the vet bill out of your own pocket, so after you check the type of reimbursement, make sure you know how long it takes your chosen provider to pay you back. Read reviews to confirm this. 15. Is It Worth It? Think about the price you pay for the value that you’re getting. Pet insurance may not always be the best choice for you. If a provider is cheap but doesn’t offer a plan that doesn’t cover what your pet needs, there’s no point in using them. Move onto the next one. 16. How Healthy Is Your Pet? Try to avoid enrolling your pet when he’s old or unhealthy. Some providers will either offer only limited insurance, or charge an arm and a leg for older pets or those who already have health issues. In many cases, pet insurance is not worth it for older pets. 17. What About Premium Increases? Pay attention when and by how much your premiums will increase. All pet insurance providers will increase their premiums at some point. Make sure you know when and who they do this, and by how much you should expect your premiums to increase. It must be in writing. It never hurts to ask for discounts or special plans. After picking several best insurance providers, ask for any possible discounts. Some may offer a reduced price for households with multiple pets, while others will give you a discount simply because you asked. 19. Have You Considered Other Options? Pet insurance is not always the best choice for every case. If after all the research you still cannot find an ideal provider to fit your and your pet’s needs, consider skipping pet insurance and simply starting a “pet emergency fund.” Save up for that rainy day. While the number of pet health insurance providers is growing, we still have only a handful of major providers that are well-known to pet owners in the US and Canada. Here are the twelve companies that have been offering the best pet health insurance plans for dogs and cats over the last decade. Plans available for dogs and cats that are 8 weeks or older, and there is no upper age limit. Annual coverage limits range from $2,500 to $20,000 depending on plan. There are unlimited options available on certain plans. Choice of deductibles from $100 to $500 and reimbursement levels of 70%, 80% and 90% of the vet bill. Plans available for dogs 8 weeks and older, and for cats 10 weeks and older; up to any age for accident coverage and before ninth birthday for illness coverage. Annual coverage limits range from $3,000 to $16,000. There is a lifetime limit per injury or illness of $1,500 to $8,000. Deductibles from $100 to $1,000 and reimbursement up to 80% of eligible charges. Plans available for dogs and cats up to the age of 14 years old. Annual coverage limits range from $5,000 to $15,000. Choice of deductibles from $200 to $1,000 and reimbursement levels of 65%, 80% or 90%. Plans available for dogs and cats aged 6 weeks and older with no upper age limits. Annual coverage limits of $10,000, $14,000 and unlimited. Choice of deductibles of $50, $100, $200 and $500 and reimbursement levels of 70%, 80%, 90% and 100%. Plans available for dogs and cats of 8 weeks and up to the age of 14 years old. There is no annual or per incident caps on coverage and unlimited lifetime benefits. Choice of deductibles range from $100 to $500 and reimbursement levels of 70%, 80% and 90%. There is only one plan with no payout limits. Deductibles range between $0 and $1,000. Plans available for dogs and cats up to age of 10 years old. Annual deductible choices are $100 or $250. Plans available for dogs of 10 weeks and up to 10 years old, and for cats of 8 weeks and up to 12 years old. Annual coverage limits range from $3,000 to $20,000 with $100 deductible and 80% reimbursement. Having all the needed information and comparing both the company and their plans can help make the right decision that will not only provide all the necessary pet health insurance coverage for your dog or cat, but also save you plenty of money at the end of the year (instead of doing the opposite). Who's your provider, which plan have you chosen and why did you make that decision?